Day 1 of Paris Air Show Le Bourget 2013 started with a large number of orders and commitments of several operators accross all major manufacturers. 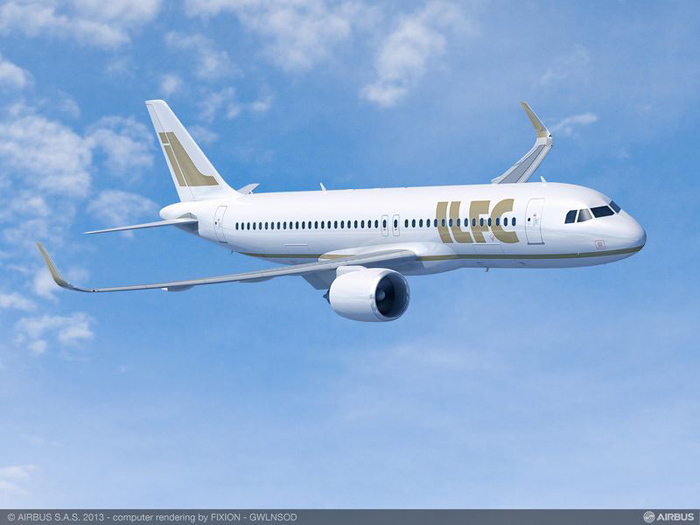 Industry leading aircraft lessor, ILFC, has signed a firm contract for the purchase of 50 additional Airbus A320neo Family aircraft. 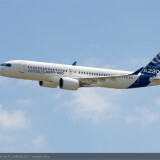 ILFC was the first lessor to commit to the A320neo Family with a firm order placed in 2011 for 100 aircraft. With this latest order, ILFC increases its total firm NEO order tally to 150. 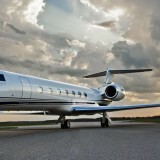 ILFC will make its engine selection for the aircraft at a later date. Including this latest contract, ILFC remains Airbus’ largest customer, having ordered a combined total of 769 single-aisle and widebody Airbus aircraft. 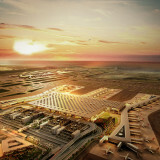 Doric Lease Corp has signed a Memorandum of Understanding (MoU) for the purchase of 20 Airbus A380s. With this investment, Doric will offer a tailored A380 leasing solution and will make the aircraft even more accessible to both new and existing A380 operators around the world who prefer to opt for the flexibility of an operating lease. Doric already has significant experience with the A380, ranking as the third largest wide-body lessor worldwide by value, and the world’s largest asset manager of leased A380s. Doric has a six billion US$ aircraft portfolio under management, including 18 A380s acquired through sale-leaseback arrangements. The Lufthansa Group has firmed up a previous Supervisory Board decision from March this year and signed for 100 Airbus A320 Family aircraft (35 A320neo, 35 A321neo and 30 A320ceo with Sharklets). Boeing and Qatar Airways today announced agreements for nine Boeing 777-300ER (Extended Range) airplanes at the 2013 Paris Air Show. 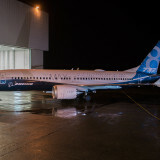 The agreements include a firm order for two airplanes previously attributed to an unidentified customer on Boeing Commercial Airplanes Orders and Deliveries website, plus a commitment for an additional seven airplanes. The Doha-based airline currently operates 35 Boeing passenger and cargo 777s of various types, including 22 777-300ERs, nine 777-200LR (Longer Range) airplanes and four 777 Freighters. The two firm airplanes give Qatar Airways a backlog of nine Boeing 777s. When the additional seven become firm, the backlog will rise to 16. GE Capital Aviation Services (GECAS), the commercial aircraft leasing and financing arm of General Electric announced a commitment to order 10 Boeing 787-10X Dreamliners equipped with GEnx engines, subject to the 787-10 program launch. Tokyo-based Skymark Airlines (Skymark) announced the airline’s intent to select the Boeing 737 MAX as its next generation single aisle aircraft of choice, making it Japan’s first airline to do so. 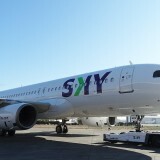 Boeing will work closely with Skymark to finalize a firm order in the coming months. Based at its Haneda Airport hub in Tokyo, Skymark Airlines currently operates a fleet of 30 Next-Generation 737-800s on a lease from GE Capital Aviation Services (GECAS) and other lessors. 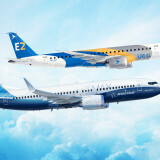 Embraer announced the launch of the second generation of its E-Jets family of commercial aircraft, named the E-Jets E2 and comprising three new airplanes – E175-E2, E190-E2, and E195-E2. The E190-E2 is expected to enter service in the first half of 2018. The E195-E2 is slated to enter service in 2019 and the E175-E2 in 2020. As the first operator to order the E175-E2, SkyWest becomes the launch customer for that aircraft. SkyWest, of St. George, Utah, USA, is the largest regional airline group in the world. It is the parent company of SkyWest Airlines and ExpressJet Airlines, both of which have been long time operators of Embraer aircraft. More than 40 EMB 120 Brasilia turboprops continue to fly in the SkyWest Airlines network, primarily in the western states. ExpressJet Airlines operates 249 aircraft from the ERJ 145 family and has the largest ERJ fleet in the world. 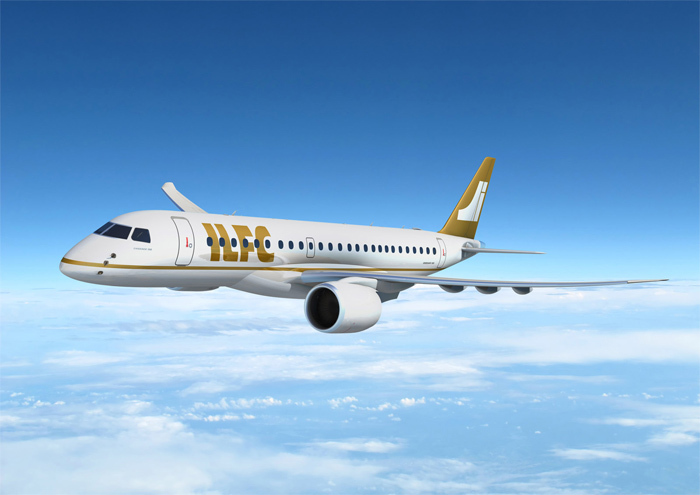 International Lease Finance Corporation (ILFC), a global leader in the leasing and remarketing of jet aircraft to commercial airlines, signed a Letter of Intent (LOI) for the sale of 25 Embraer E190-E2 and 25 E195-E2. 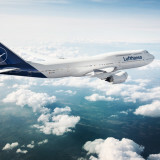 The LOI also contains options for an additional 25 E190-E2 and 25 E195-E2. Embraer announced that it has signed Letters of Intent (LOIs) with five undisclosed airlines from Africa, Asia, Europe and Latin America for 65 orders for the E-Jets E2. The E-Jets E2 represent Embraer’s commitment to continuously invest in the company’s line of commercial jets and maintain its leadership in the 70 to 130 seats market. The three new airplanes (E175-E2, E190-E2, E195-E2) carry the designator “E2” which signifies generational changes in technology that have been incorporated in the design. Each of the three aircraft has the versatility for a range of single class, multi-class or high-density seat capacities to suit operator requirements, with new ‘look and feel’ and improved comfort levels. Bombardier disclosed that a previously announced firm order for 10 CS100 aircraft was placed by Odyssey Airlines, a new airline that intends to operate from London City Airport. 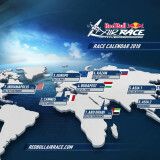 The firm order was announced on June 24, 2011.